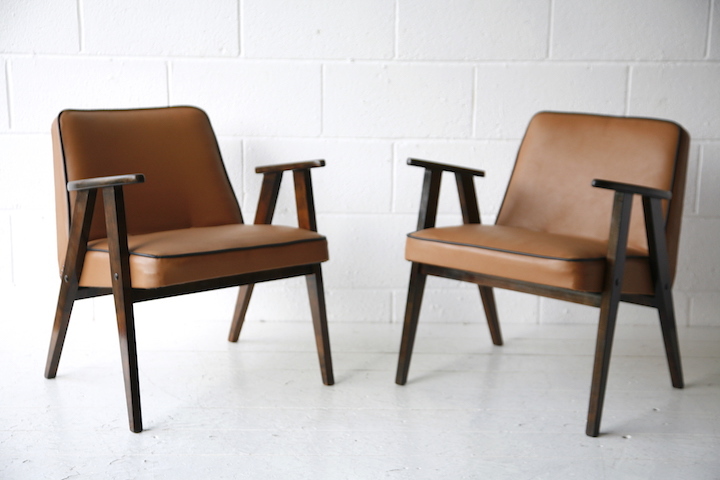 A superb pair of 1950s 'Model 366' Armchairs by Józef Chierowski. 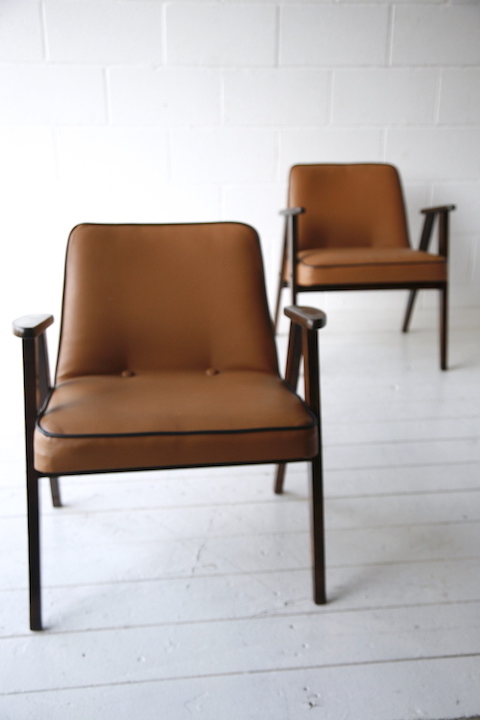 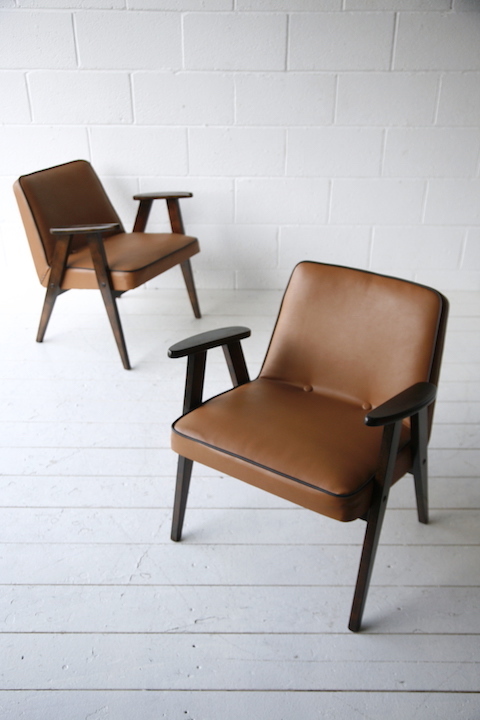 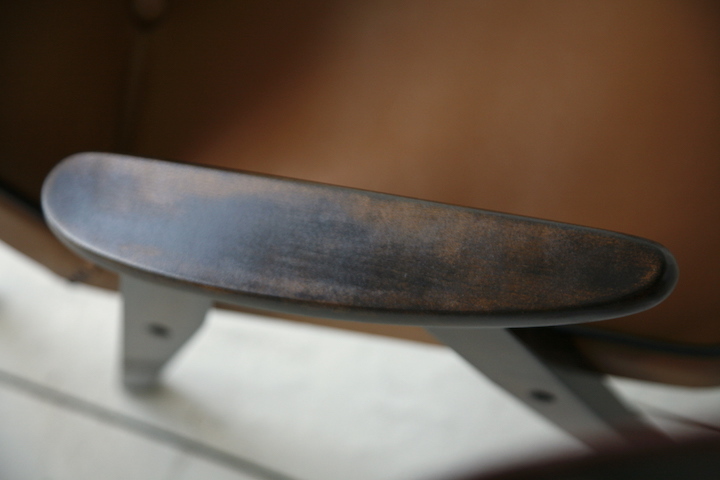 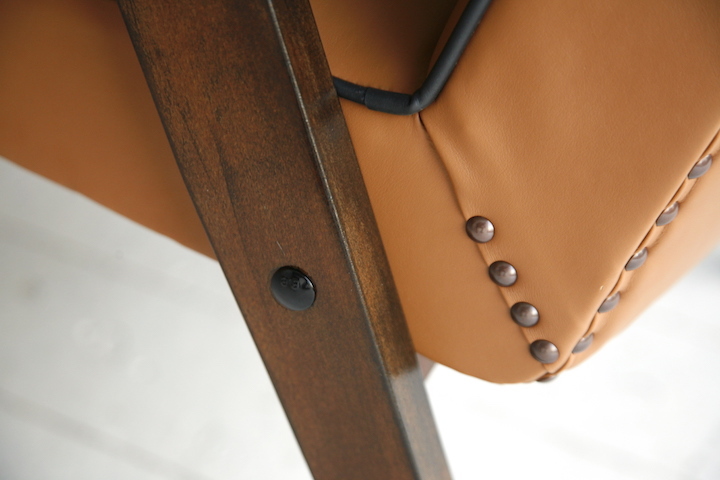 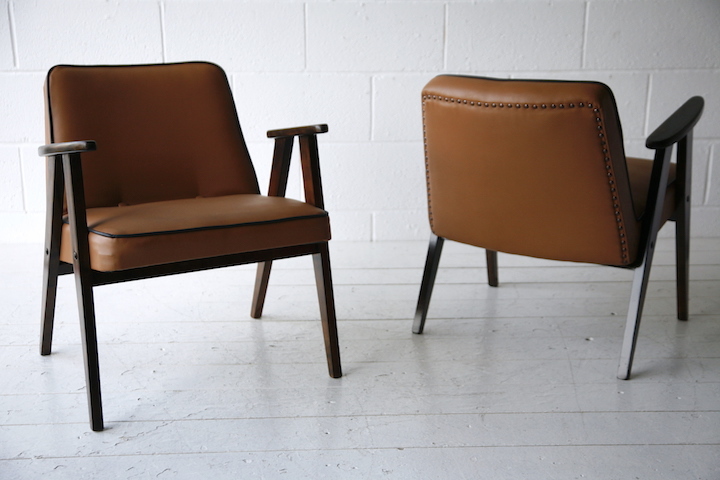 Fully restored in tan leather with black leather piping and dark stained beech arms. 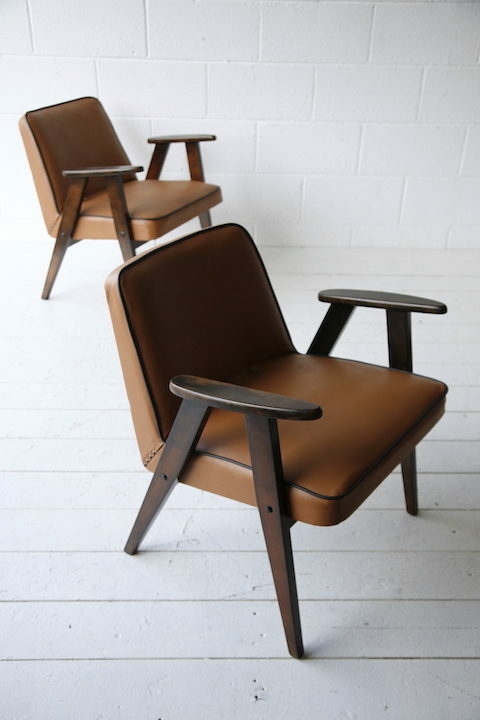 In very good restored condition.